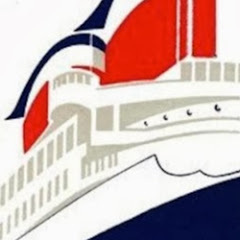 My first love… – Putting the "hip" in "ships" since 2002! August 19, 2016 – When I was in third grade, I fell in love. I’d never seen anything like her until there she was on our tiny black-and-white television screen. When I first met her, she went by the name of Claridon in a movie called The Last Voyage. It wouldn’t be until I got a little older that I realized she was really the beloved and fabled French Line’s Ile de France. A little older still, and I realized just how disrespected she’d been by Andrew and Virginia Stone, the filmmakers behind the disaster epic. Today, I just look past the carnage and appreciate how well documented her last interiors were in glorious 35mm Technicolor—realizing, of course, that the Asian-themed tapestries were added by the art department. 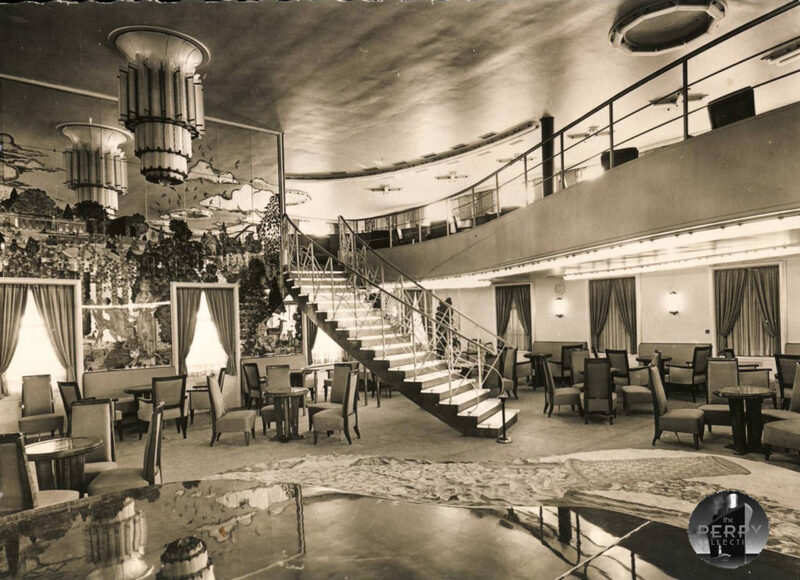 I love the Ile for her understated yet spectacular Art Deco interiors. 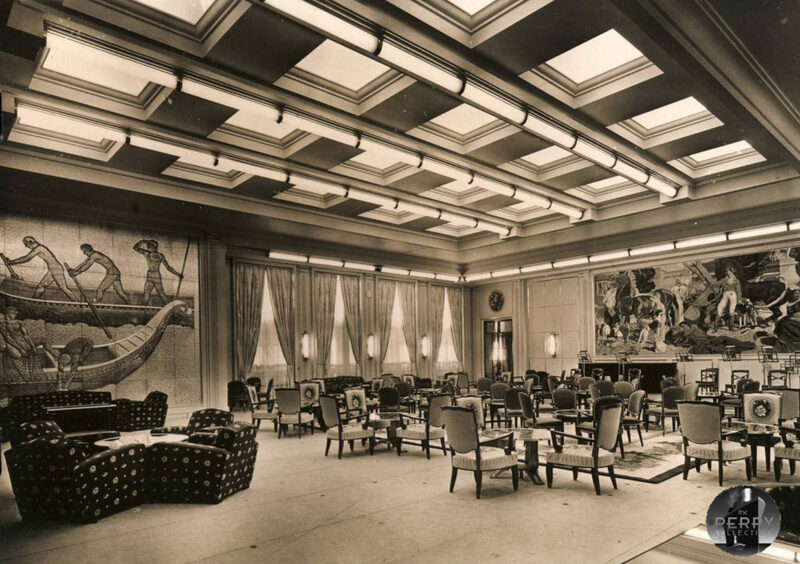 She is credited as being the first transatlantic liner to employ a contemporary design aesthetic when she first entered service as a three-funnel liner in 1927, with clean, crisp lines that allowed her form to flatter her function. 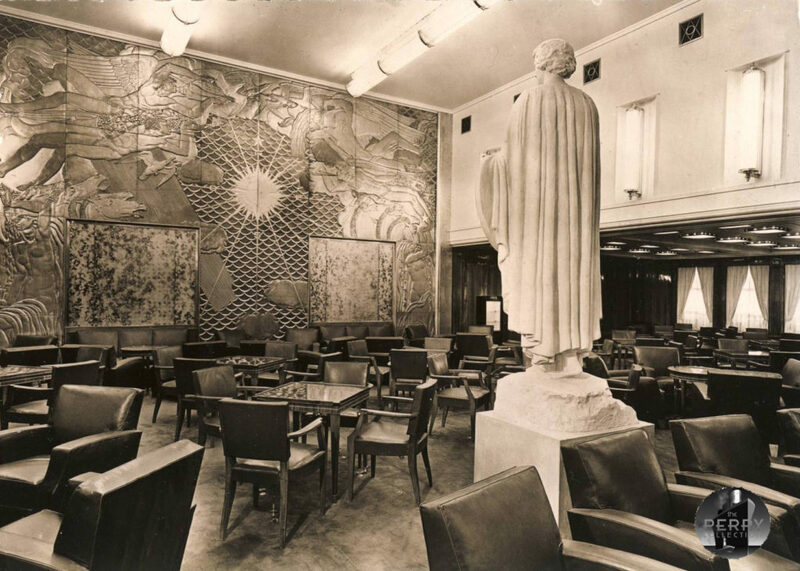 Yes, most ship fans worship at the altar of La Normandie, and while I appreciate the “wow factor” of that 1930s monument of Art Deco excess, I prefer the more subtle splendor of the Ile. 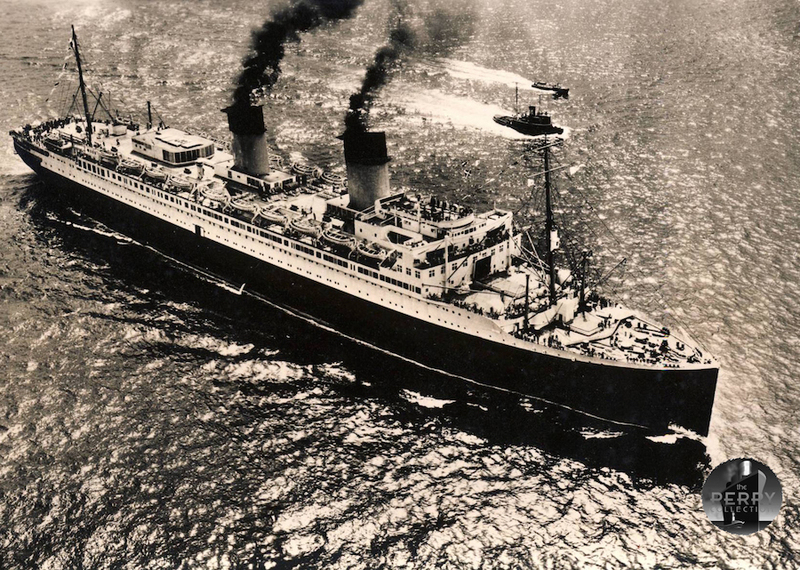 Post World War II, she was given an extensive overhaul, going from a three-stack liner down to a more streamlined two. It’s no wonder she was immortalized in not one but two standards from the American Song Book: “A Fine Romance” (…you’re just as hard to land as the Ile de France…) and “These Foolish Things Remind Me of You” (…the Ile de France with all the gulls around it…). For me, it was definitely love at first sight. 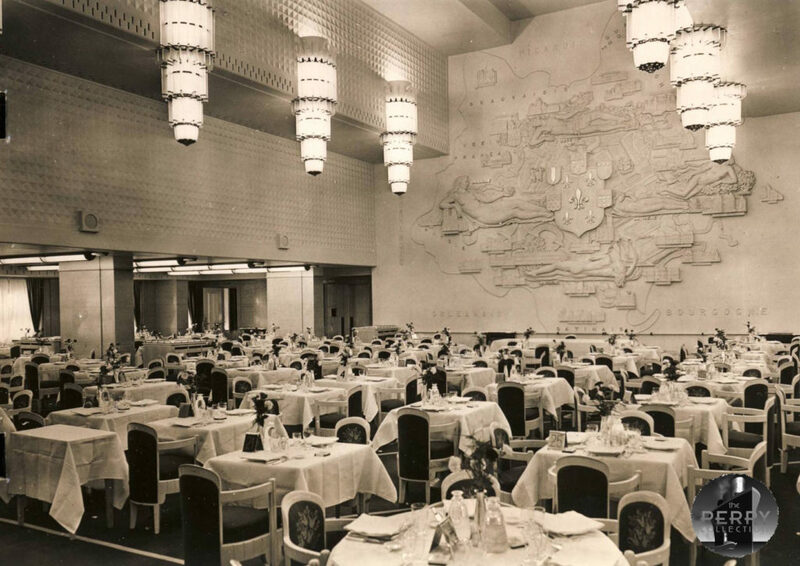 The understated but still spectacular First Class Dining Room. 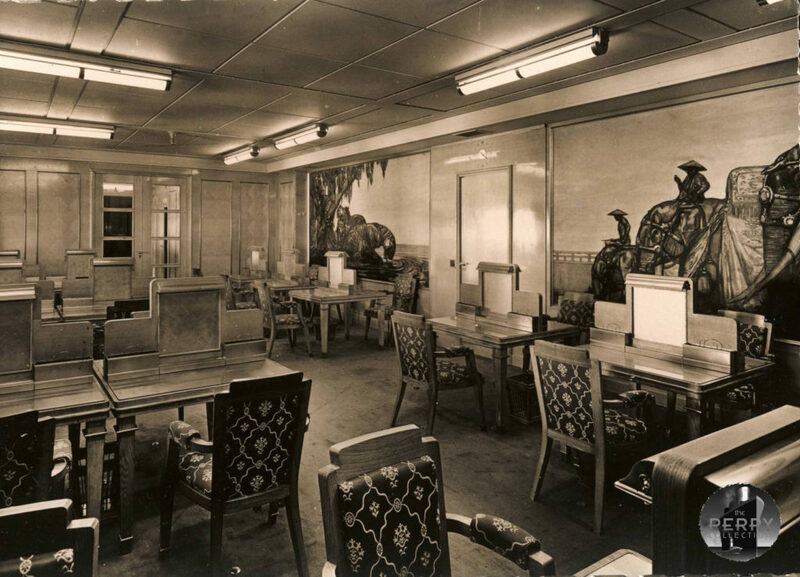 Even Cabin Class was gorgeous. 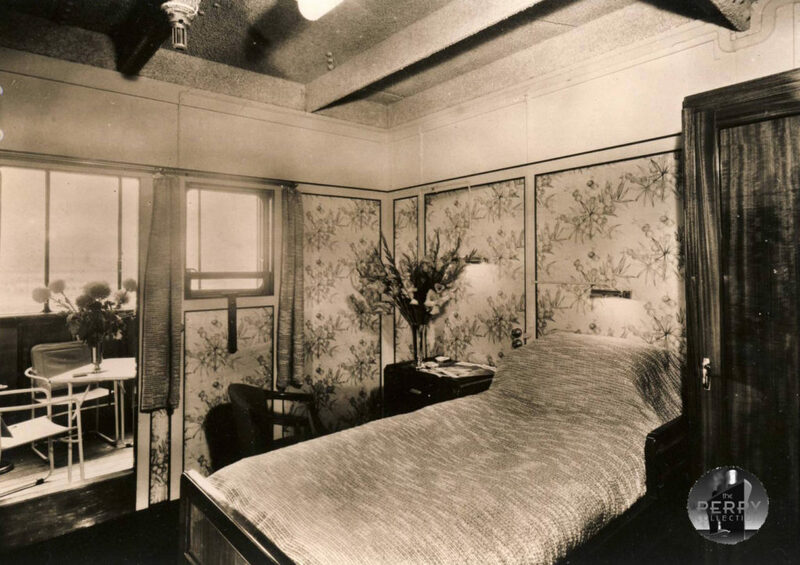 Here’s what they called the Drawing Room. Wow. 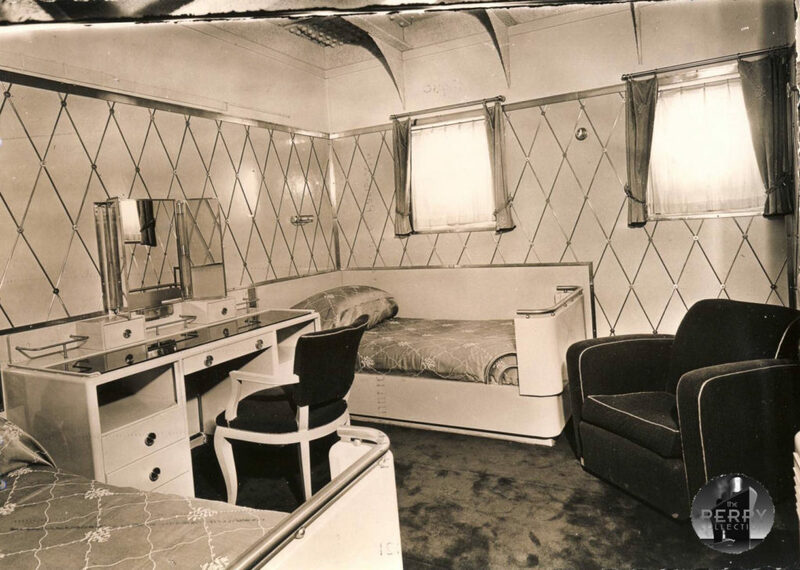 Here’s a First Class cabin with a private verandah. Sign me up! 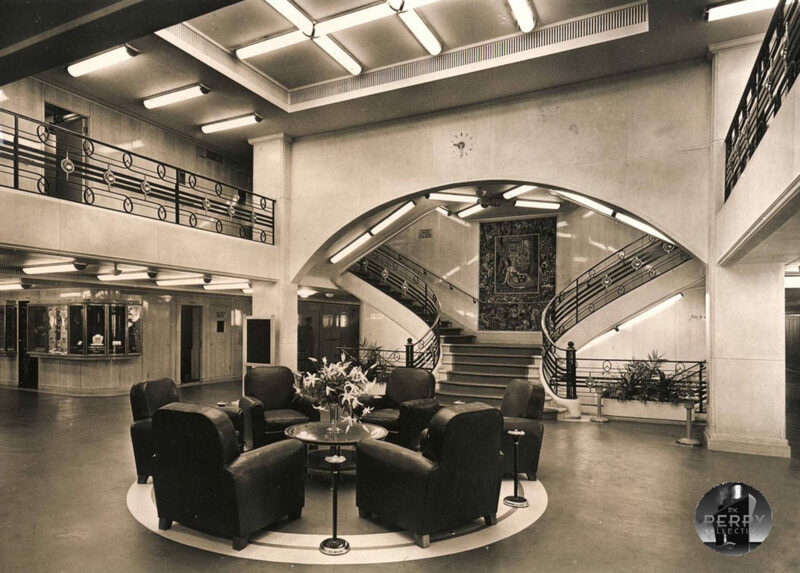 The Main Hall where First Class passengers embarked. Jaw-dropping! The appropriately named Grand Salon. The Smoking Room has me reconsidering that bad habit. What a nice guest room this would make! I would have spent hours in this Writing Room.